Just as humans, our beloved furry friends can suffer from chronic inflammation and arthritis. While it’s hard to pinpoint what causes the disease in dogs, it’s crucial to give your pets a lot of exercise through long walks and playtime. Managing their weight is also a crucial factor. Furthermore, cold and damp weather worsen arthritis so make sure to provide them with a warm sleeping spot, especially during the colder months. Since chronic inflammation characterizes arthritis, feeding your dog anti-inflammatory foods may also help prevent or ease the degenerative diseases that cause arthritis. And which dog doesn’t love a delicious treat? Have you ever thought of making your own dog treats? Just as you feed yourself wholesome, organic foods, your four-legged companion deserves the same. Dog treats from the store are loaded with preservatives and other nasty ingredients that could harm your dog’s health. These dog treats are sure to be a hit. From start to finish, it only takes an hour or two to make around 12 to 14 regular cupcakes or around 30 mini cupcakes. They are super easy to make and will help you put slightly soft apples to better use. In two separate bowls, mix wet (except apple pieces) and dry ingredients thoroughly. Under constant stirring, slowly mix the wet mixture into the dry ingredients. Fold in the chopped apple pieces and pour the mixture into small muffin tins or a cupcake pan. Bake until a toothpick comes out clean. This will take about an hour and 15 minutes. Store for up to two to three weeks in the fridge or freeze them for later use. Your dog will surely love these homemade treats, and you can be confident that what you are feeding your dog is keeping it healthy. Unlike the horrible smelling store-bought dog biscuits, the apple cinnamon dog treats are a snack even I would eat! Cinnamon is well known for its anti-inflammatory, antimicrobial, antioxidant, and anti-cancer properties. It is thought to keep your pet’s heart healthy, prevent cancer, lower blood sugar, and help fight bacterial and fungal infections. Flax seeds are an excellent source of heart-healthy fats such as omega-3s, fiber, protein, vitamin B1, manganese, magnesium, phosphorus, and selenium. These tiny seeds can help reduce your dog’s risk for diabetes, obesity, chronic inflammation, and arthritis while providing a healthy gloss and shine to its coat. As an excellent source of complete protein, eggs provide many of the essential amino acids your dog needs for optimal functioning and overall health. 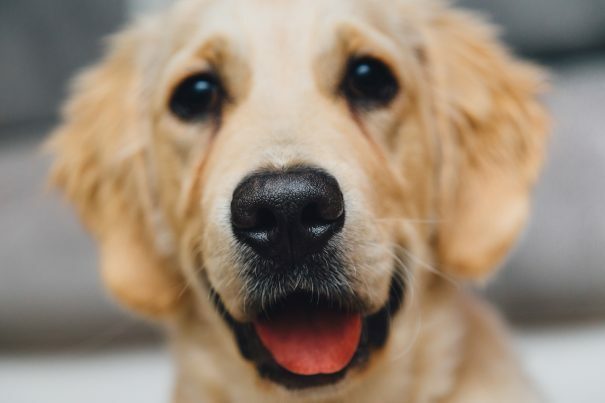 Lastly, complex carbohydrates in fruits (such as apples), whole grains (such as rice flour), and vegetables supply your dog with a slow, steady stream of energy.